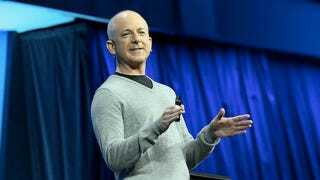 In another big shake up of powerful tech executives, Steven Sinofsky, the President of the Windows Division at Microsoft, is out. AllThingsD is reporting that Sinofsky is leaving amidst "growing tension between Sinofsky and other top executives". He was once seen as the heir apparent at Microsoft, someone who could possibly become CEO. Sinofsky previously worked in the Office division at Microsoft but took over as President of the Windows division after the embarrassing bungling of Windows Vista. He fixed it with Windows 7 and Windows 8. Sinofsky even had a hand of creating Outlook.com and Skydrive and was a big champion of Surface. Meaning: his resume at Microsoft was pretty fantastic and whatever happened behind the scenes had to be really serious for Microsoft to part ways with his talent.